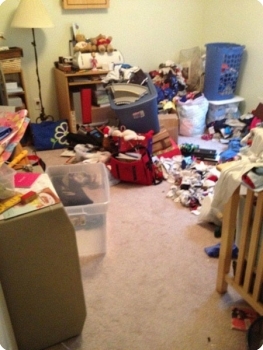 This room was being used as a staging area to prepare clothes for a children’s consignment sale. 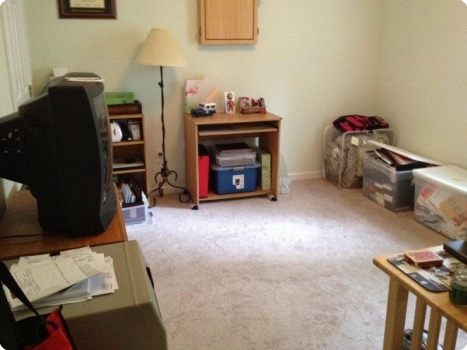 This room will be completely emptied and made over for their newly adopted nine year old from Europe. Here’s the room after we did some quick purging and organizing. Most everything will be removed and either donated or located into another room.